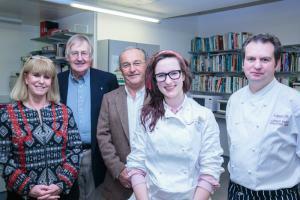 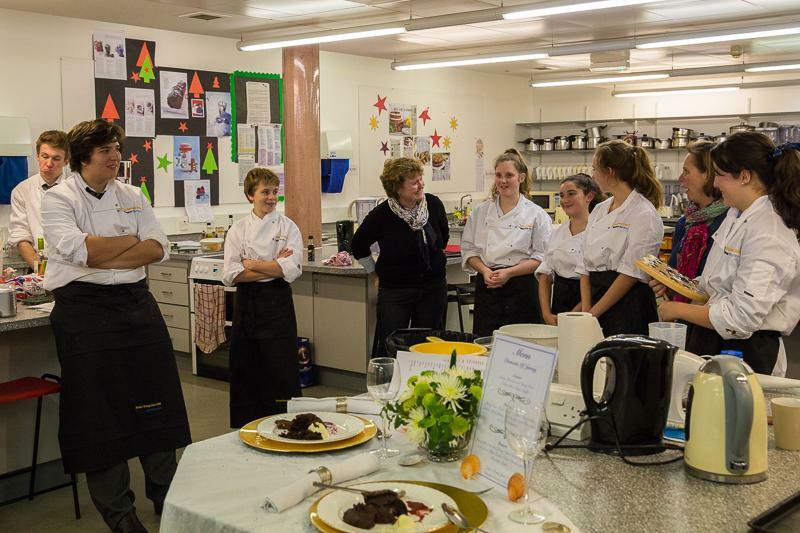 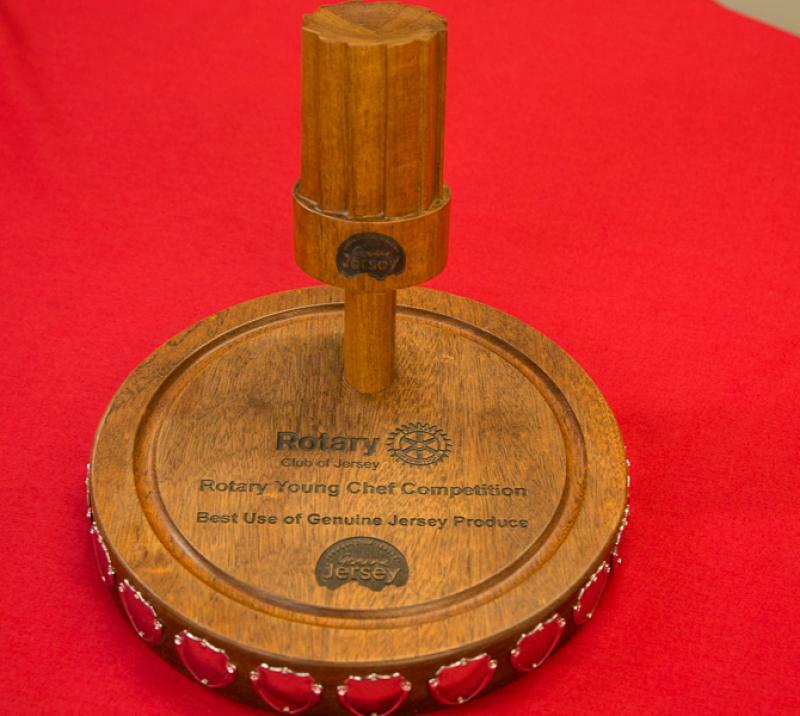 Seven budding chefs compete for the title Rotary Young Chef Jersey 2014-15 and the opportunity to compete in regional finals during February 2015. 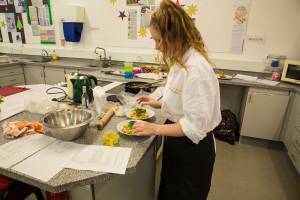 Seven young people competed in the final at Jersey College for Girls on 27th November 2014. 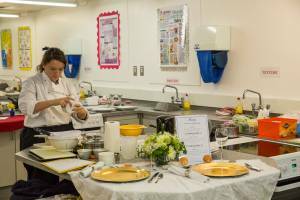 In a period of 2 hours each contestant needed to prepare and present a 3 course meal with an emphasis on using Genuine Jersey ingredients. 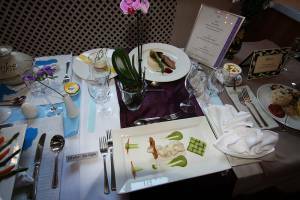 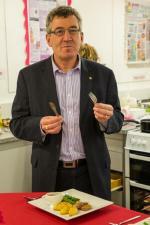 Each contestant created their own menu and the food had to be purchased at a cost of no more than 15. 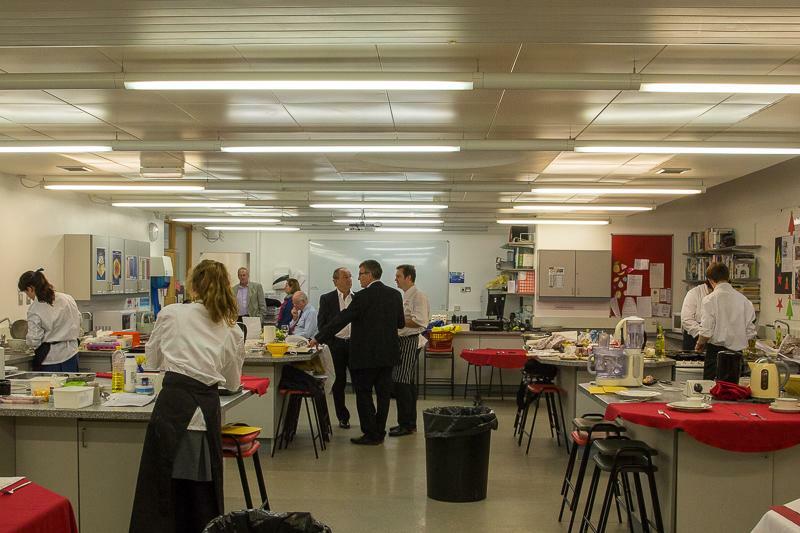 Throughout the 2 hour period, they were questioned by the judges on their choice of dishes, the way each of the dishes complemented one another and on their cooking skills. 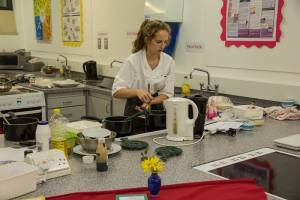 By common consent the standard of cooking and presentation was excellent and Emma Preisig triumphed in what was a very close contest. 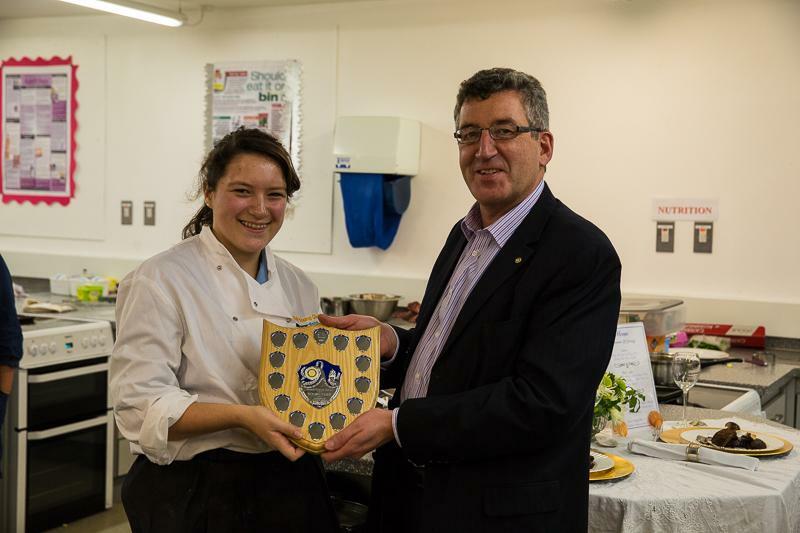 Emma received The Jersey Dairy Rotary Young Chef of the Year Jersey Trophy, the Genuine Jersey Trophy for the best use of Jersey produce and a Co-op gift voucher. 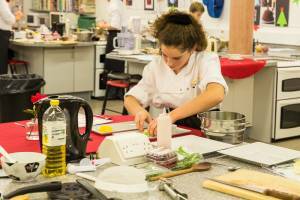 Emma now represents Jersey at the regional finals to be held in the UK during February. 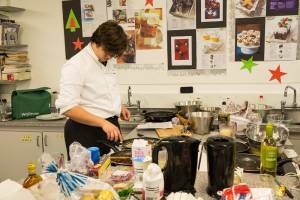 Please follow each contestant's link (see photographs to the right of the page) to see their individual work. 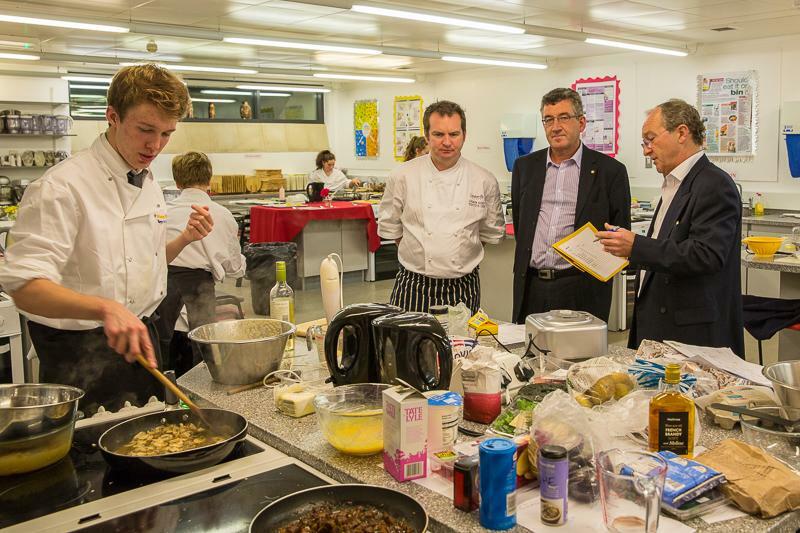 Copies of any of the photographs can be downloaded from the Rotary Club of Jersey Flickr site here. 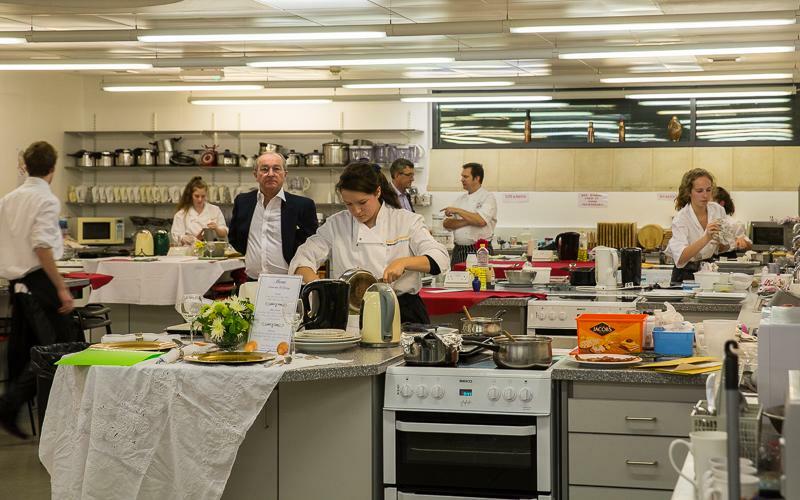 Judges: Andrew Baird Executive Chef Longueville Manor Hotel, Alan Winch Proprietor Green Island Restaurant, Rotarian Eamon Fenlon Managing Director Jersey Dairy and Rotarian Bob Marshall the competition organiser and a retired Catering Executive. 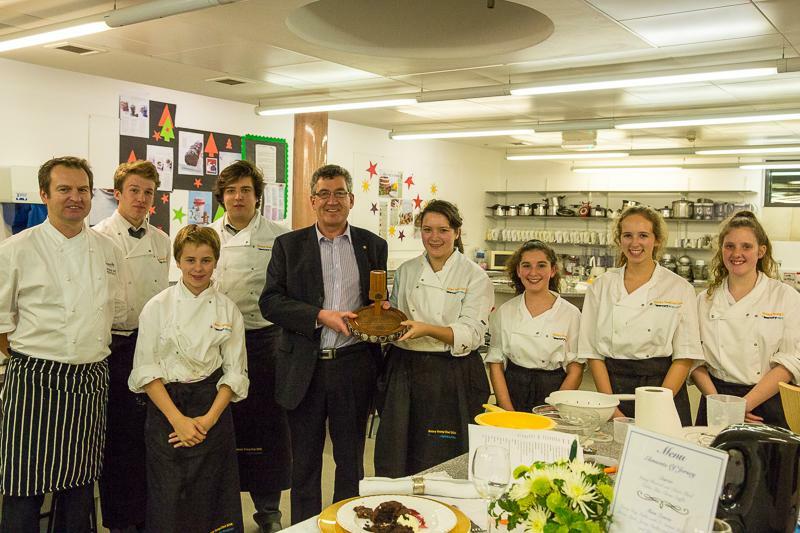 Sponsors: thanks go to Mercury Distribution for presenting each contestant with their Chef's uniform. 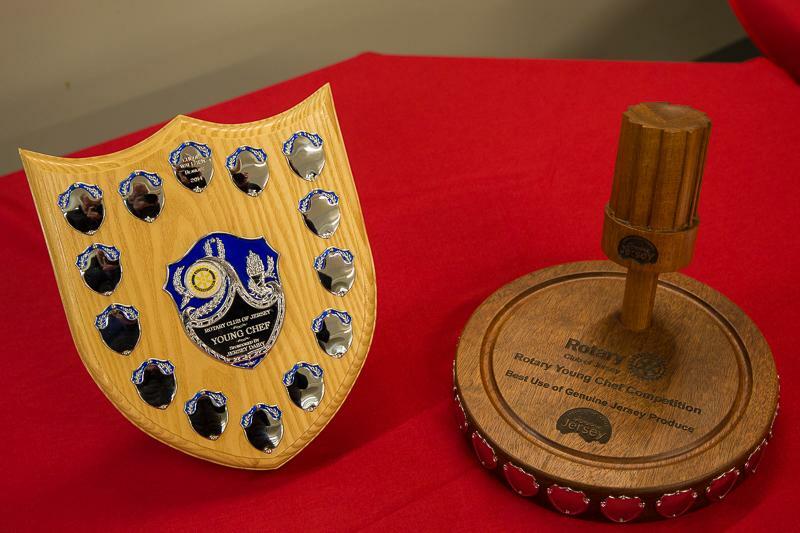 The Co-op, Genuine Jersey and Jersey Dairy for their overall support and sponsorship of various prizes. 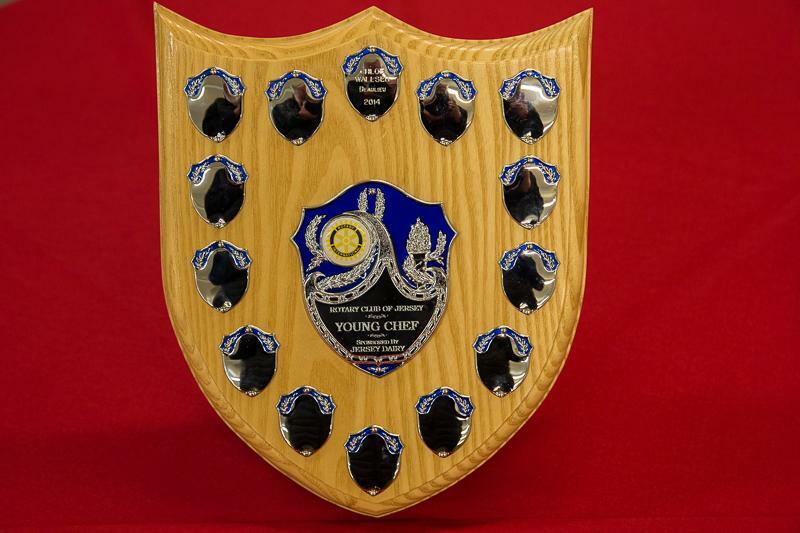 Information on earlier contests is available, Young Chef Jersey 2013-14 and Young Chef Regional Final 2013-14. 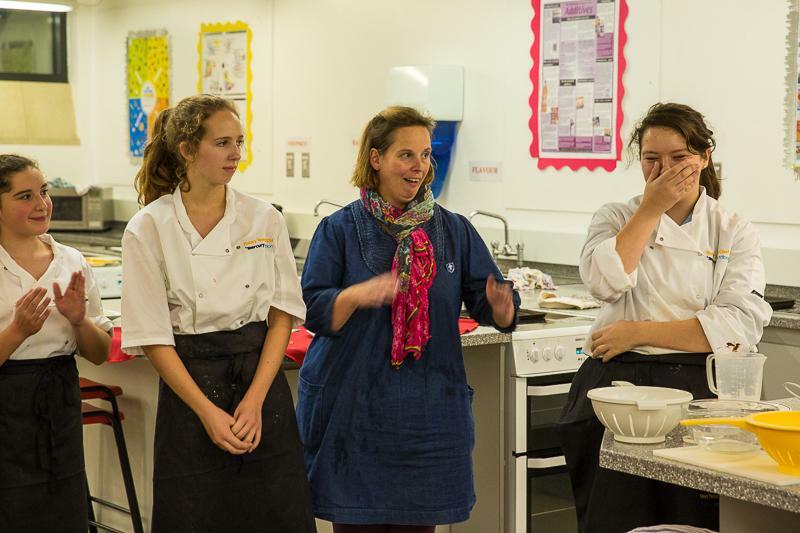 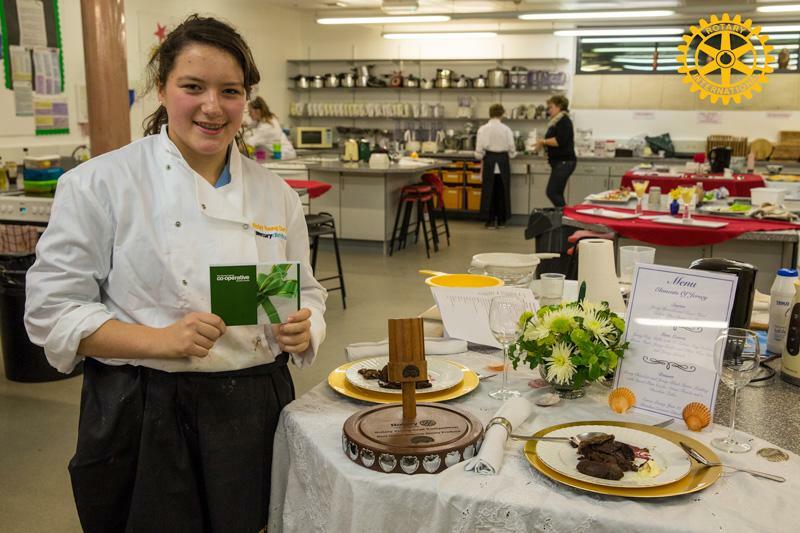 Our winner, Emma from Beaulieu, Emma will now compete in the Regional Final in the UK in February 2015. 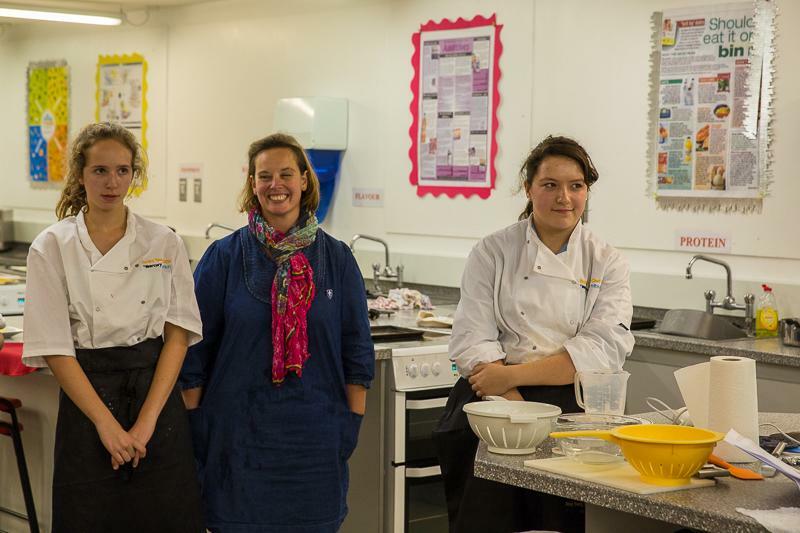 Representing Jersey College for Girls. 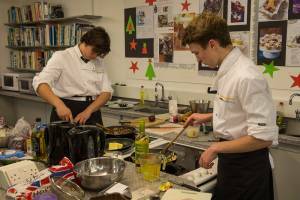 Six budding chefs compete for the title Rotary Young Chef Jersey 2014 and the opportunity to compete in regional finals during February. 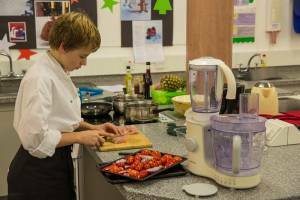 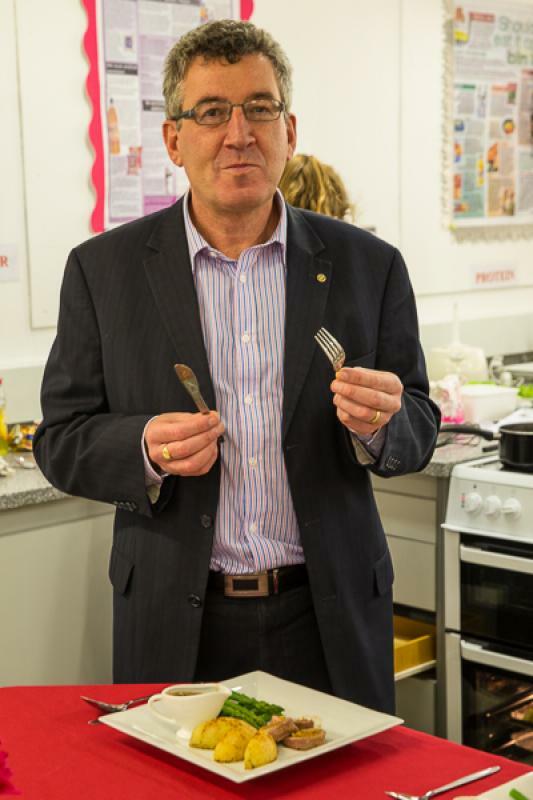 Fourteen young chefs meet in Poole to compete in the District 1110 Final of the Rotary in Great Britain and Ireland Young Chef Competition.